Finding a new apartment isn’t always easy. But before you start pounding the pavement, use the free resources widely available on the web to help get you started. You can do the majority of your research online and then go on-site to check out the apartment. We do recommend touring the apartment in person before you sign a lease. But learning more about the neighborhood and researching price ranges can help you narrow your search even more. Here are five free tools to make your apartment search a (frugal) breeze. While some people enjoy driving, others prefer to walk to the grocery store, work or the park. It’s greener and less costly than driving or riding the bus. If this is important to you, go to Walk Score, enter in the address of an apartment that you are considering and see how pedestrian-friendly it is. It will give the apartment a score out of 100 and list grocery stores, restaurants, shops, schools, parks and more. It will even show the distance of these businesses from the apartment. If you’re searching for apartments, this is almost a one-stop shop on the web. 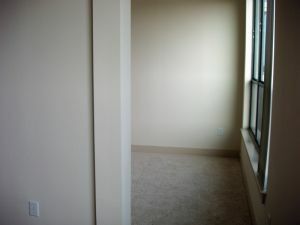 Here you can view photos and detailed listings of apartments. You’ll also find information on metro areas, cities and even neighborhoods. And, for information on apartment living, hunting, and moving, the Moving Center on this site offers some excellent articles. This tool is helpful if you want to find out how reasonable the price of the apartment is for the neighborhood. If you find that the apartment you’re considering is charging more than most apartments in the area, then think about what makes it better than the others. And, if you can’t find the answer, maybe searching other places is a good idea. But, if you think the amenities and the apartment features are worth it, then this isn’t as much of a concern. This is for the wary customer. You don’t want to rent an apartment in an area where you don’t like the shops or restaurants. Yelp offers maps and reviews to help you decide if you like or frequent the types of businesses near the apartment that you are considering. It will save you time and money in the end when you don’t have to commute farther to shop and dine. This site is great for research on the neighborhood level. Not only can you get stats on neighborhoods, you can also find the best neighborhoods for college students, families, urban sophisticates, etc. in a specific city. You can also put in a neighborhood that you know you like and find one that is comparable in another city. All of these resources on the web are free, so try them out before spending the day driving around the city wasting your gas or tiring your feet on the streets. And, it pays to do a little research first before spending a lot of money and time on an apartment that you’ll end up not hating down the road. What are some of your favorite resources for achieving a frugal move? Ashley is a freelance writer who contributes to ApartmentGuide.com and lives in the Atlanta area. She enjoys finding new ways to save and live frugally while enjoying life. I would add craigslist as well to that list. That is how I ended up finding my apartment and is usually the best starting place to begin your search. .-= Craig´s last blog ..Interview with Nathon Hay from HouseholdBudgetNerd.com =-. Thank you for posting this! Just today, we buckled down and looked at lots of apartments. We need to move by the end of september, so we need all the help we can get. .-= Amiyrah´s last blog ..Cheap Eats: Beans =-. Fantastic list!! Thank you for cluing me into these resources. The NYC real estate/rental market is tough enough as it is; these are seriously helpful. Rentometer and Walk Score are particularly useful. Thank you! .-= The Frugal New Yorker´s last blog ..How I Got My Job: Preparation =-. Great article! Finding an apartment can be such a pain. I actually found this website that I love called Rent Jungle. It’s a free apartment search engine that takes the listings from the major apartment sites and puts them on one results page. So instead of checking the dozens of apartments sites out there, you can get all the information at one place. It also has some neat features like one that lets you see if you’re paying too much in rent and another that lets you check out market trends in your area. Here’s the link if you want to check it out! Next post: Weekly Round-Up: Cows, Pigs & Chickens, Oh My!